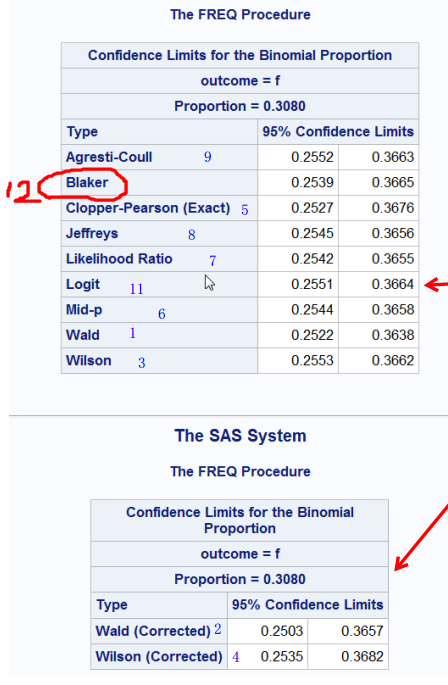 This quick note serves as a supplementnote of my previous Statistical Notes (3): Confidence Intervals for Binomial Proportion Using SAS which I will extend as a SESUG 2015 paper. 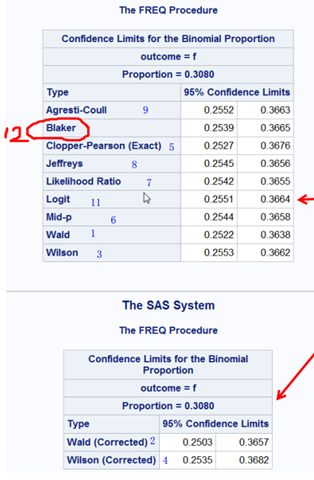 Basically I added a new Blaker method to my CI_Single_Proportion.sas file and found more CIs from SAS PROC FREQ. 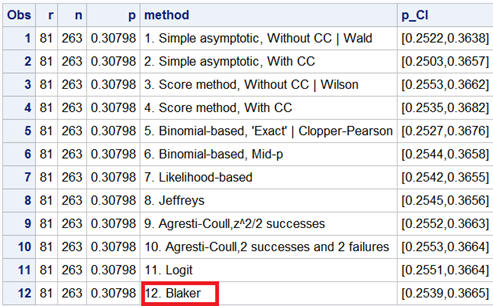 Only #10 method is not implemented yet in SAS PROC FREQ. 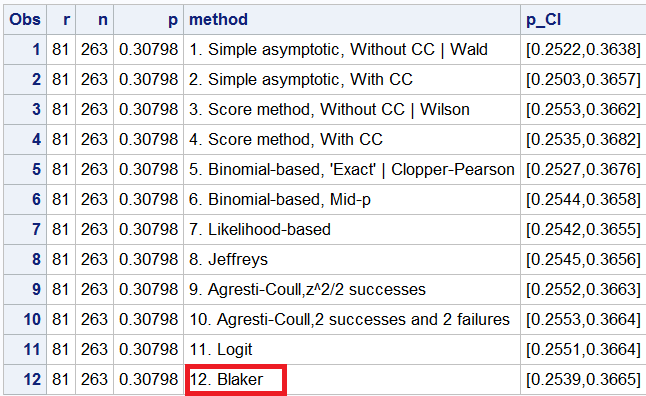 There are some Bayesian intervals available in SAS procedures but since I’m not familiar with Bayes, I will leave it blank by far.